If you are afraid that you don’t have enough time to see Patagonia (Chile) – don’t be! Keep reading to find out how you can travel Chilean Patagonia in three days. Travel Tip: If you are catching this bus straight from the airport, you must buy the bus ticket online, only when you reach – as this is only available 4h prior to the journey. This will be your only option as they don’t sell the tickets at the airport. If you don’t buy them online, you will have to catch a taxi to the city centre where you can get a ticket from the bus station, from where the bus leaves. However, the bus will then go through the airport so you will have paid a taxi journey in vain. Puerto Natales really impressed us when we arrived. It is such a quiet town! But don’t let this stop you from exploring it – it’s got some amazing settings. The best way to do this is by renting bikes to ride across the lake. The town offers a long bike path throughout where the views are stunning all along as the mountains follow your ride. The most efficient way to see Torres Del Paine is to book a full day tour, because the park is HUGE. The guide will take you to all the main view points and you will be able to maximise your time in Patagonia. Travel Tip: You don’t need to buy a tour in advance. When we checked the prices online we were horrified! Most of them reached $100 US per person. However, you can book them in Puerto Natales on arrival for $35,000 Chilean Pesos, which is less than $60US per person. Still expensive but necessary if you only have a day to explore the park. Make sure to book the tour as soon a you arrive at Puerto Natales as they tend to sell out fast! Also note this price does not include entry to the park, which is $21,000 pesos ($35US) and can be used for three days. As part of the tour we first visited the Milodon Cave for $5,000 pesos and then all the main spots in the park including a glacier, the biggest waterfall in Torres Del Paine and the four towers. In addition, we saw a lot of animals on the way that we wouldn’t have spotted without our guide, including pumas, guanacos and flamingos. On the last day, you’ll take a morning bus back from Puerto Natales to Punta Arenas to explore this Patagonian city. Punta Arenas has a lot more live than the last town so you can definitely stroll around. However, there is one activity that you cannot miss – Isla Magdalena. This Island is situated about 1.40h away from the mainland and here you can see penguins in their natural habitat. They migrate to Magdalena Island to change feathers once a year so they are only visible from November to March. We went there in March when the younger penguins had already left but there was still a very impressive amount of them and we paid a reduced price because of the time of the year ($35,000 pesos instead of $50,000 pesos). Again, quite pricy but definitely worth it. It was such a unique experience to see penguins in their natural habitat! You can see this in minute 2:00 of our vlog. 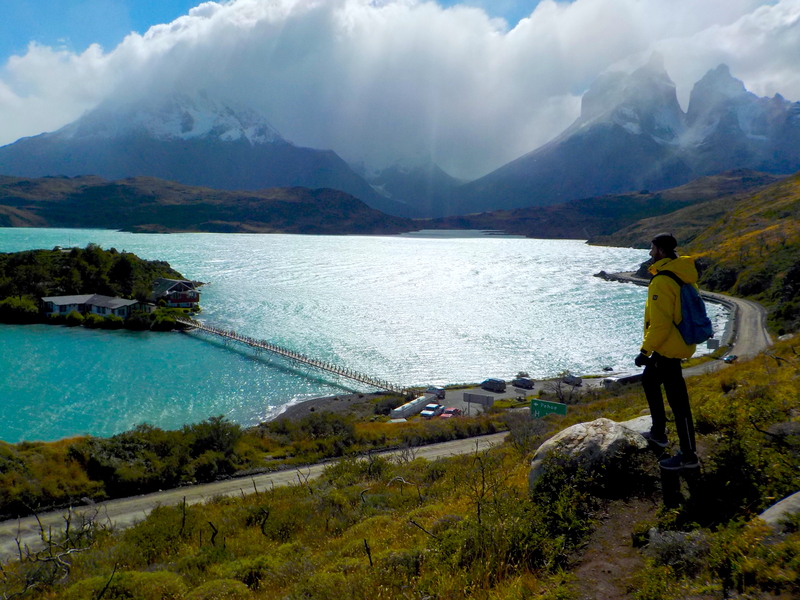 Something we didn’t get to do in Torres Del Paine is a full day hike. This is what the park is most known for and if you have time you should definitely go for it. However, you’ll need to make sure that you wear appropriate clothing and shoes as it is very common to experience bad weather like snow, even in summer season. Let us know your thoughts on these suggestions by leaving a comment below. We are also happy to answer any questions you may have! If you have been to Patagonia in Chile, what was your favourite part?